Wendy Kamai, the tireless instructor with the museum’s We BeWeave program, was like a mother to her students—and her warm influence is still being felt. Kamai, who passed away last August, started teaching adult classes in needle felting and lauhala at the Art School in 2014. 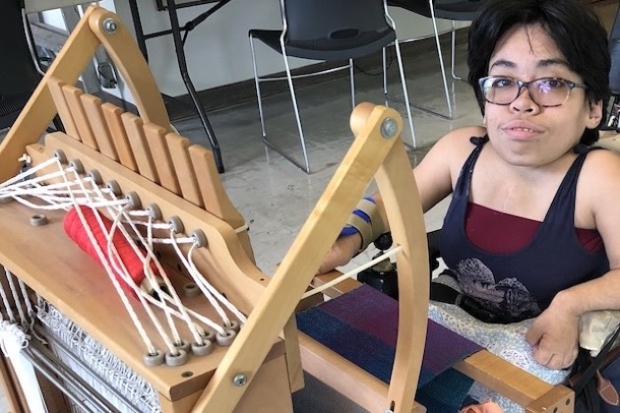 With her textile background, she was drawn to the nascent We BeWeave program, which was created by VSA (Vision, Strength, Artistic Access), a Kennedy Center program that focuses on arts education and professional development for students with disabilities. 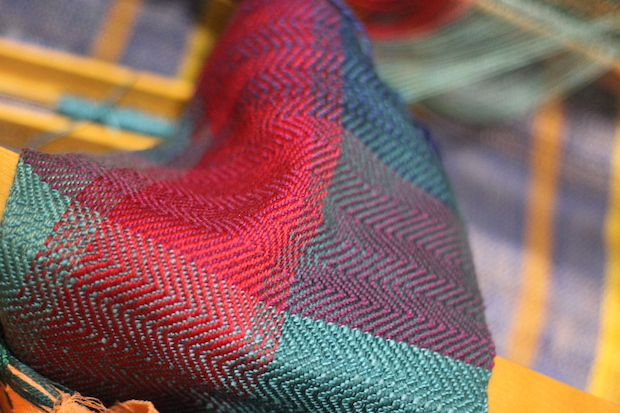 Kamai played a vital role in developing We BeWeave here, and introduced Saori weaving—a contemporary method that features an attachment that makes weaving easier for people who are paraplegic or donʻt have arms. Kamai would also often bring her own wheelchair-accessible eight-heddle loom to class for students who needed it, saving them the hassle of setting up an entirely new loom. After her death, Kamaiʻs belongings were shipped to Kansas City, Mo., where she has family, including her niece, Christina Banglos. When she sorted through the shipment and found the specialized loom, Banglos generously decided to send it right back to Kamaiʻs students, donating it to the Honolulu Museum of Art School. Wendy’s former sister in law, Louise Hamili, who lives in Wai‘anae, generously paid for the shipping cost. The loom arrived at the Art School last month, and is the facilityʻs first permanently installed wheelchair-accessible loom. “We wanted to donate it because she loved the Art School and the students,” says Banglos, adding that it seemed only right to donate the loom to the place where Kamai—who Banglos describes as strong and quiet but with a silly sense of humor—used and enjoyed it the most. “We just thought it was something her students should have because of how much they meant to her,” Hamili adds. Kamaiʻs loom is already being well used by one of her former students, Maria McClellan. The current project that McClellan is working on, thanks to Kamai’s loom.